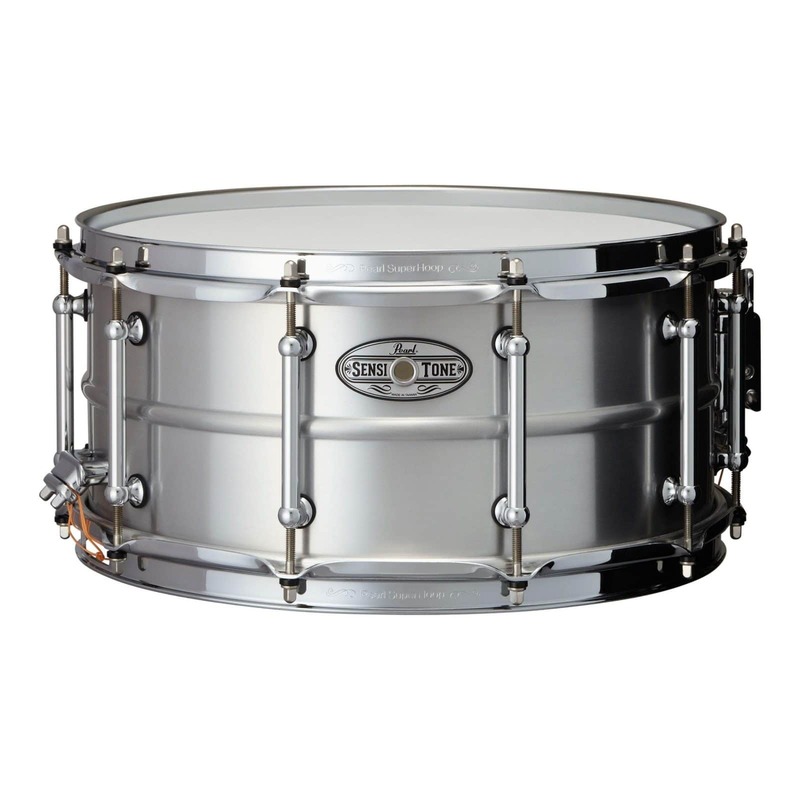 Pearl’s 14″ x 6.5″ SensiTone Beaded Seamless Aluminum Snare Drum is made with a 1.2mm-thick shell that speaks well in a huge range of tuning schemes. It’s got more power and a deeper sound than the 5.5″ model, but it still retains the characteristic brightness. 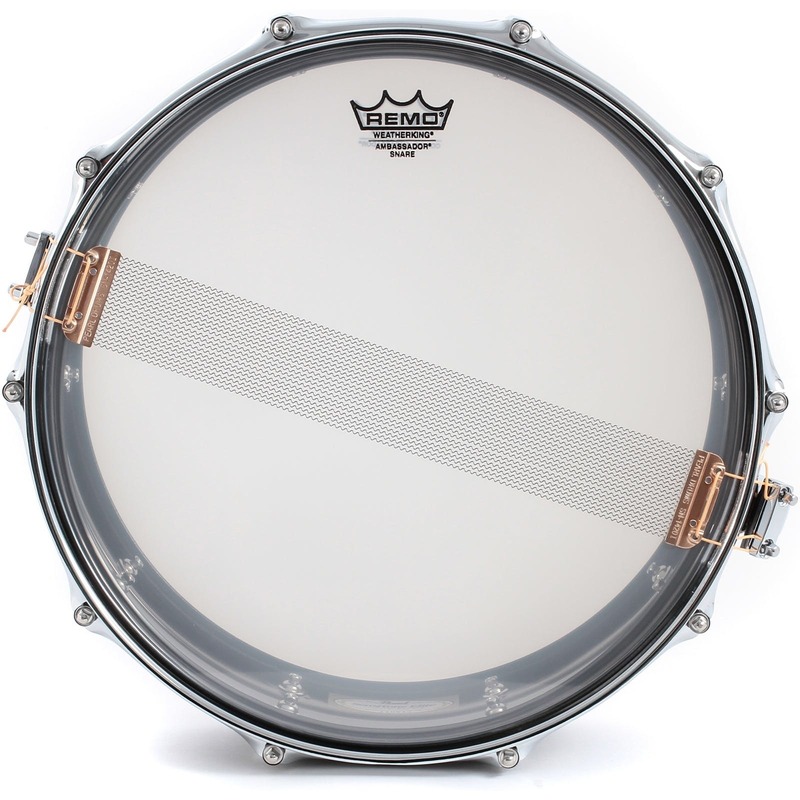 These snare drums come equipped with with SR-150 Gladstone-style strainers that feature Click-Lock technology, essentially locking the snare lever and tension adjuster in place wherever you happen to set it. It won’t loosen even under the loudest playing. SuperHoop II hoops make tuning a fairly simple process, and they’re surprisingly durable. You’ll also get a Remo Coated Ambassador batter head, classic tube-style lugs, and a revamped SensiTone badge for the finishing touch.